Bishopton House has at its core an L-plan tower house which was remodelled in the 17th century and extended in the 20th century. 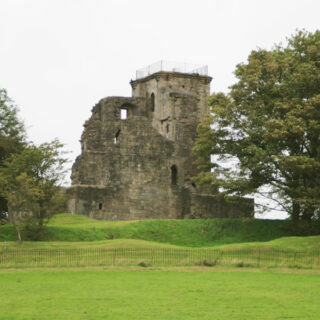 The lands of Bishopton were held by the Brisbane family, certainly as early as 1332 when William Brisbane was Chancellor of Scotland and probably earlier, and it is thought that the Brisbanes built the first castle here. 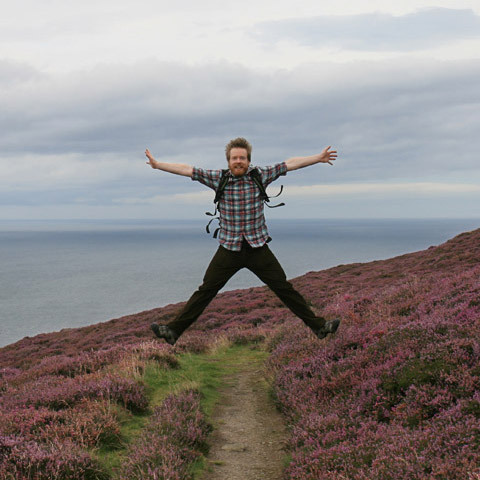 A John Brisbane of Bishopton was the heir of William. 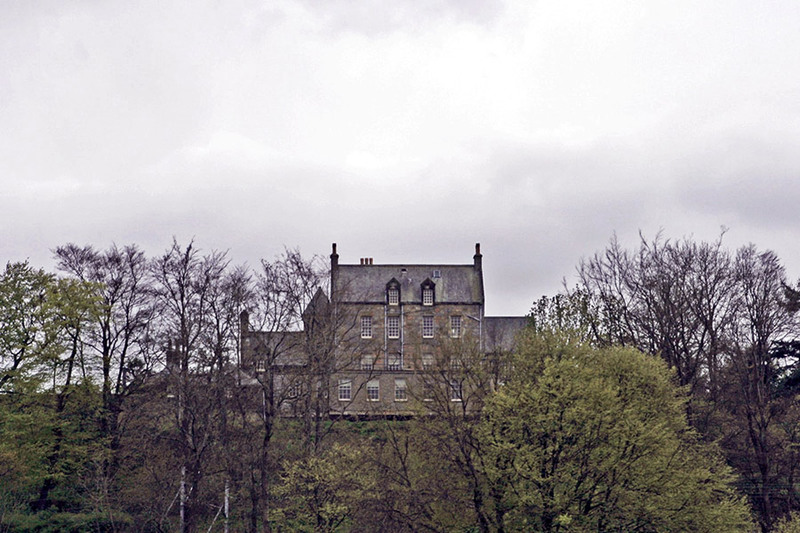 It was marked on Pont’s late 16th century map as Bishopstoun, taking the form of a substantial tall tower with smaller wing, the whole property surrounded by a ring of trees. 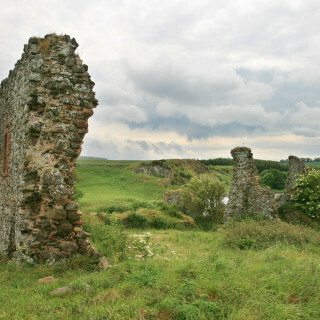 The house occupies a good defensive position, standing on a ridge and commanding extensive views east and west along the River Clyde with Dumbarton Castle and Dunglass Castle visible on the opposite bank. The land falls away sharply to the north down to the riverbank. The original layout and construction date of the castle is unknown, however it is not unreasonable to imagine that it took the form of a simple square tower. What is known is that the 17th century L-plan building represents the extension of an earlier, smaller L-plan structure. 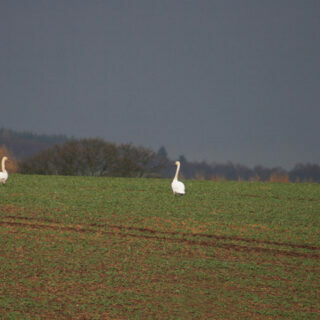 Old Bishopton. View from South-West. 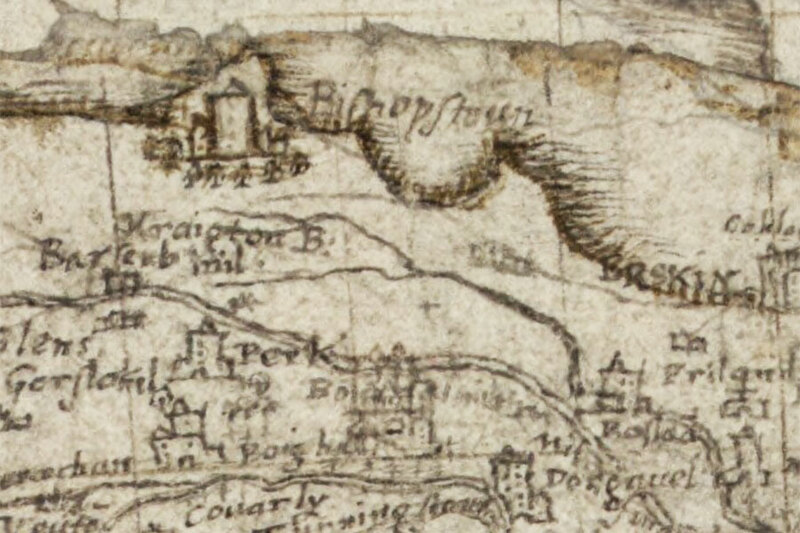 Robert Gordon’s mid-17th century map again shows Bishopstoun as a tall tower with a smaller wing, surrounded by planted parkland. The main block is aligned approximately east to west with a smaller wing projecting south from the east end. Rising to a height of three storeys plus a garret, the basement is accessed via a passage leading from the main entrance on the west wall of the wing in the re-entrant angle. The basement is divided into two vaulted chambers, one of which was used as a kitchen and has a wide fireplace, both of which feature narrow arrow slit windows suggesting an earlier origin than the majority of the building. The main entrance also gives access to a scale-and-platt staircase which rises through the wing to reach the other floors. 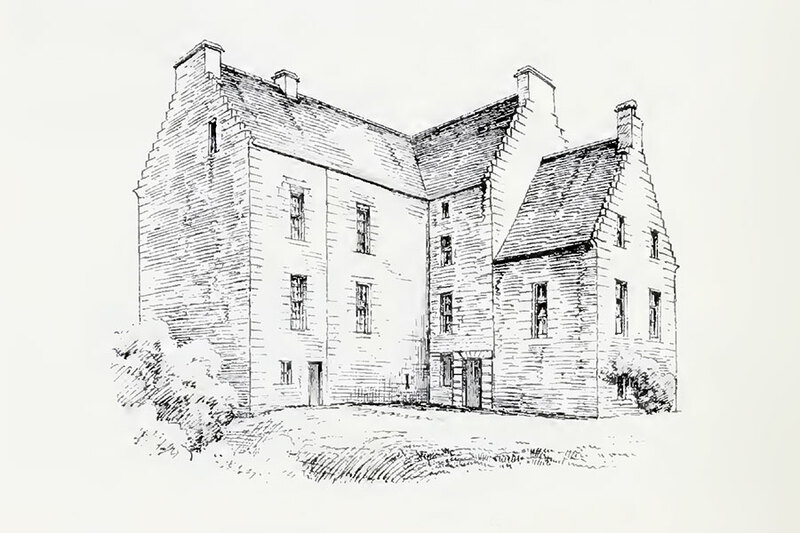 The wing was extended to the south with the addition of a two storey plus garret one bay long extension, possibly later in the 17th century. A one bay long extension to the west end of the main block is also evident, probably dating to a similar period. Old Bishopton. 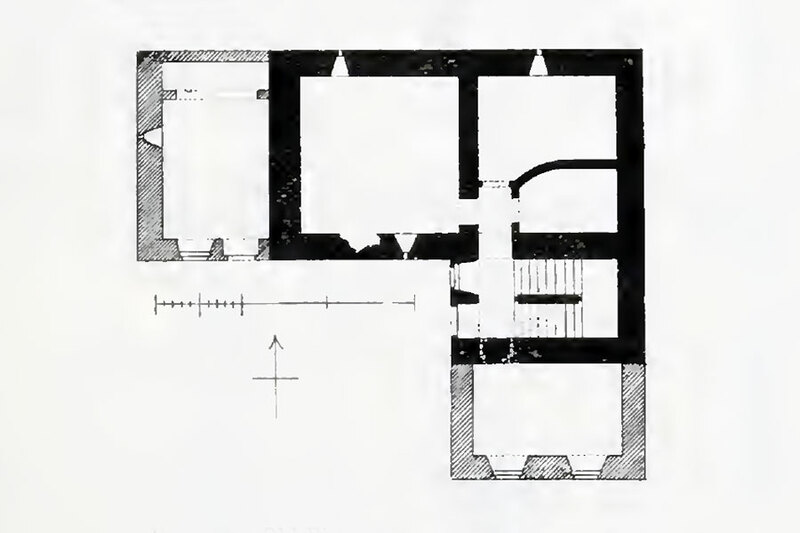 Plan of Ground Floor. 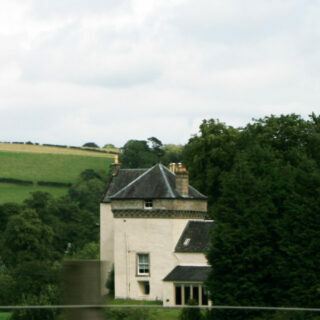 Around 1671 the Brisbane family moved to Kelsoland (renaming it Brisbane House), although they continued to own Bishopton into the 18th century. In 1705 John Brisbane disposed of Bishopton to John Walkinshaw of that Ilk but retained the superiority, along with the lands of Wester Rossland, Drum, Kirkland and Glenshinnoch. 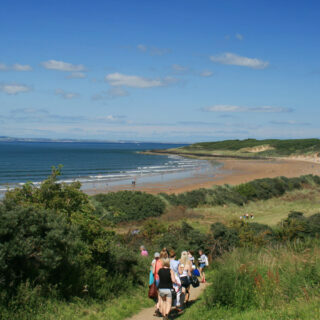 The Walkinshaws later sold Bishopton to Hugh Dunlop, and the estate passed into the Sempill family when his daughter and heiress, Maria Janet, married John, 11th Lord Sempill. 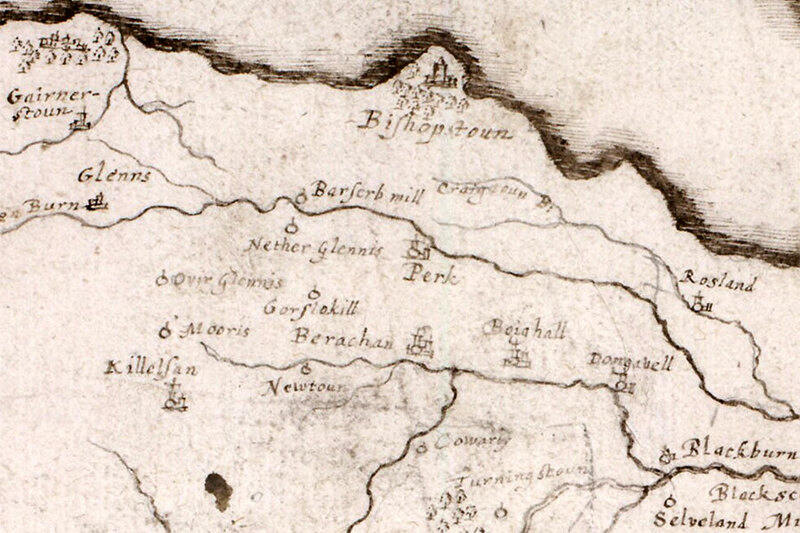 Lord Sempill sold Bishopton to Sir John Maxwell of Pollok and in 1800 it is shown on John Ainslie’s Map of the County of Renfrew as in the possession of a Sir J. Campbell. 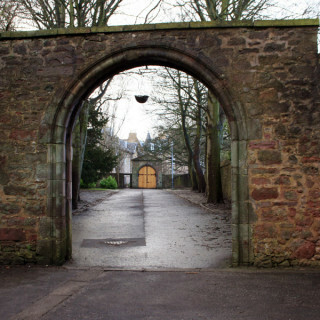 In the 19th century it was sold to Robert Stewart, 11th Lord Blantyre, who lived at the nearby Erskine House, and absorbed into the Erskine estates. Some time after 1860 the house was considerably extended eastwards and between 1916 and 1920 it was remodelled inside and out and was later used as a farmhouse. In 1953 the house was taken over by the Congregation of Our Lady of Charity of the Good Shepherd, also the Sisters of the Good Shepherd, and converted for use as a convent. During the 20th century numerous buildings were constructed within the grounds and the house further extended. The house is now the Good Shepherd Centre, a secure unit for vulnerable young people with behavioural, emotional or social difficulties. Bishopton House is in the parish of Erskine and the county of Renfrewshire. Published on the 9th of February 2012 at 12:39 am. Updated on the 10th of May 2018 at 3:09 pm.